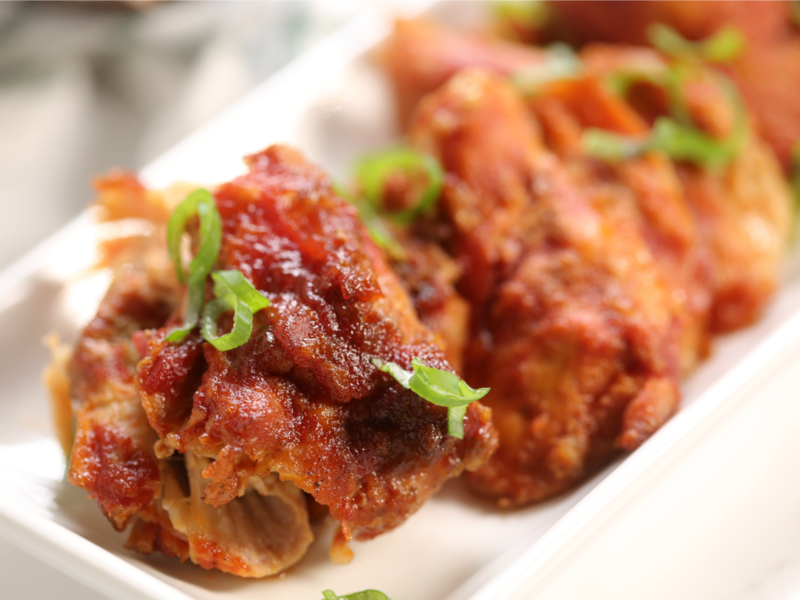 This recipe for Crock Pot Sticky Chicken is sweet and tangy and, well…sticky! 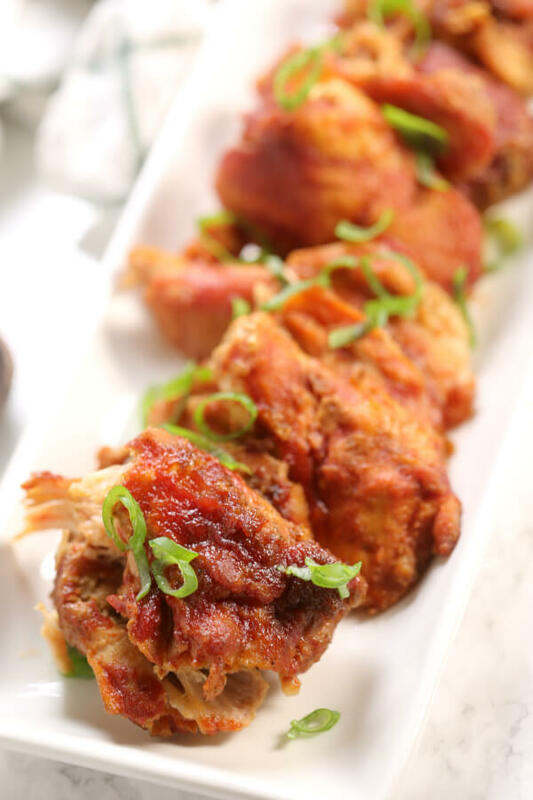 This Crock Pot Sticky Chicken is one of my all-time favorite slow cooker recipes. 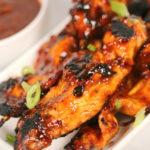 I’ve tried several similar recipes, but I’ve found this to the be absolute BEST sticky chicken recipe. I’m always on the look out for easy and tasty slow cooker chicken breast recipes. 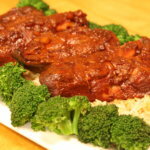 As soon as I made this Slow Cooker Sticky Chicken I knew it would be a winner! This recipe has it all going on. I just love the rich and sweet tomato flavor. It’s deep and rich and kicked up with fresh ginger and garlic. I seriously think everything is better with garlic and ginger. They’re two of my all time favorite flavor boosters. 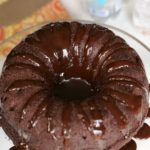 This recipe is definitely a keeper – it was really good! It was packed with flavor. And so easy to make — a perfect recipe in my book. 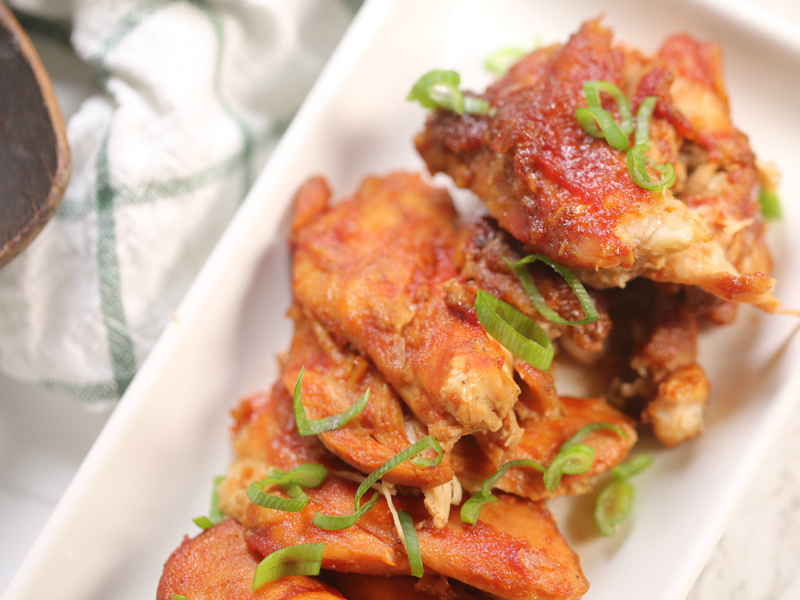 You only need a few simple ingredients for this easy sticky chicken recipe. The incredible sauce is a mixture of brown sugar, soy sauce, fresh ginger, garlic and tomato paste. The recipe calls for cayenne but it’s not too spicy. If you don’t like spice, you can easily omit it – it won’t change the flavor profile too much. One of the things I love about this recipe is you can use chicken breast or chicken thighs. I’ve made it both ways and it’s incredible. If you’re planning to use chicken breasts, you should use the thicker ones. Thin sliced chicken breasts will dry out very quickly. When I make this recipe with chicken thighs, you can use bone in or boneless. It’s up to you. These slow cooker chicken thighs will cook for a long time so it’s pretty flexible. You may be tempted to skip the broiling part of the recipe, but don’t. This final step is what makes this recipe one of the best slow cooker recipes of all time. And, any recipe that calls for fresh ginger is a winner in my book. Disposable slow cooker liners <= I CAN’T LIVE WITHOUT THESE! 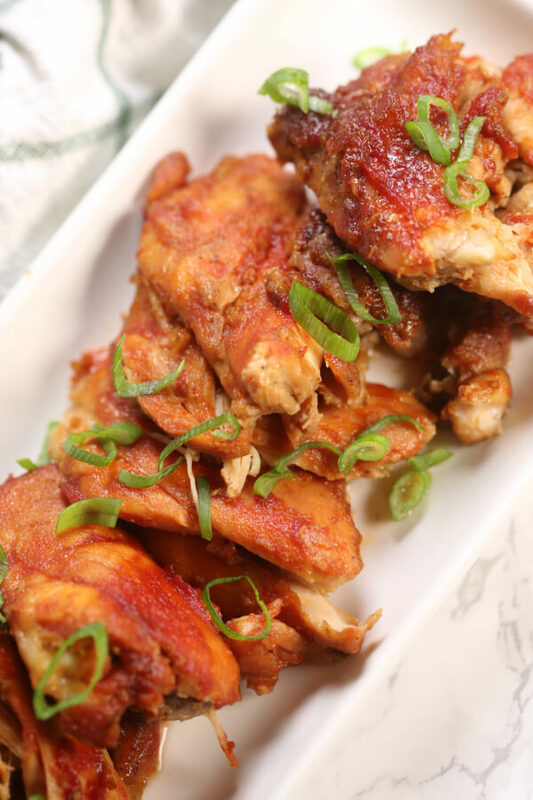 This Crock Pot Sticky Chicken is one of my all-time favorite slow cooker recipes. 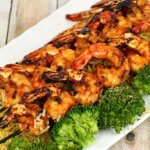 I've tried several similar recipes, but I've found this to the be absolute BEST sticky chicken recipe. It's easy to make and always get devoured. 3 pounds chicken - breast, thighs, legs, etc. Combine 1/4 cup brown sugar, 2 tablespoons soy sauce , ginger, garlic, and cayenne pepper in a bowl or zipper bag; add chicken and toss to coat. 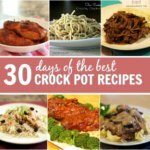 Place in a slow cooker and cook on low for about 4 hours or until done. When done place chicken in a broiler proof dish and preheat the broiler. Combine remaining 1/2 cup brown sugar, water, and tomato paste, and remaining soy sauce. Brush on chicken and cook under the broiler for about 5 minutes or until chicken is slightly crisp. Keep a close watch on the chicken under the broiler. My new favourite sticky chicken recipe, I used the oven for this recipe & marinated the chicken for 5 hours! Turned out amazing thank you for an awesome recipe & will definitely be using again and again and again!